Q. We recently bought an older home which has undergone some renovation. The sellers installed three-pronged outlets throughout the house and GFCI circuits in the kitchen, bathrooms and on the exterior. Our home inspector said that the house wiring is the original two wire non-grounded system, and that even though we have three-prong plugs they are not grounded. He also said that the GFCI receptacles would not function correctly, because there is no ground wire. Do you agree with his assessment? A. Your home inspector is correct in telling you that your outlets will not be grounded. 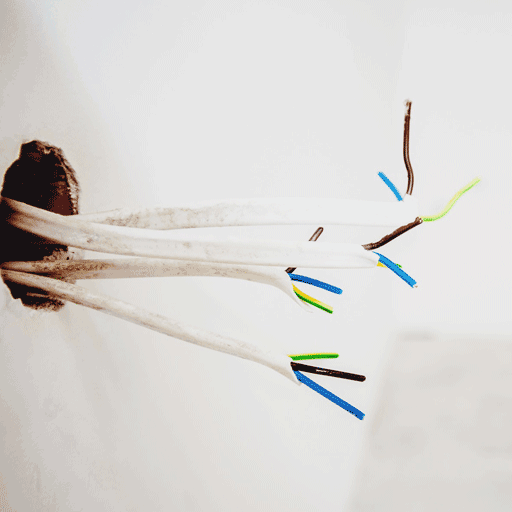 A third or ground wire is necessary for proper grounding of receptacles and fixtures. Having a two-wire system is not a problem in and of itself unless you are using electrical equipment specifically designed to be grounded. The three-prong plugs are more of a convenience since nearly all electrical devices now come with a grounded plug. Regarding the GFCI (Ground Fault Interrupter Circuit) outlets, they need not be grounded in order to work properly. Simply put, the GFCI is a safety device that protects people from electric shocks by sensing current moving in a way that it should not, and instantly shutting down the circuit. On a grounded circuit, it does this by sending the current to ground. On an ungrounded (two-wire) circuit, it does the same thing by sending the current back to ground through the neutral wire. A properly wired GFCI will work just fine on a two-wire circuit. The GFCI outlets have test and reset buttons on their face. To test for proper operation, simply push the test button. If you hear a snap, the circuit has tripped, and you can test it by plugging in a lamp or radio. To turn the power back on, simply push the reset button. If you are still not sure, call a qualified electrician and have him check all your GFCI receptacles.